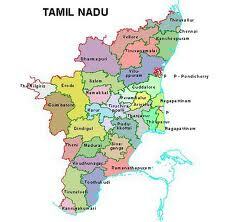 Tamil Nadu Tamil: à®¤à®®à®¿à®´à¯ à®¨à®¾à®Ÿà¯, pronunciation literally "Land of the Tamils") is one of the 28 states of India. 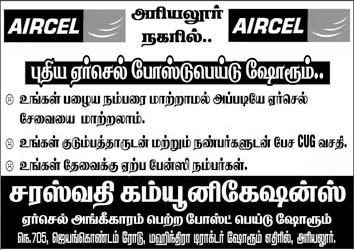 Its capital is Chennai, the largest city. Tamil Nadu lies in the southernmost part of the Indian Peninsula and is bordered by the union territory of Pondicherry, and the states of Kerala, Karnataka, and Andhra Pradesh. It is bound by the Eastern Ghats in the north, the Nilgiri, the Anamalai Hills, and Palakkad on the west, by the Bay of Bengal in the east, the Gulf of Mannar, the Palk Strait in the south east, and by the Indian Ocean in the south. Tamil Nadu is the eleventh largest state in India by area and the seventh most populous state. It is the second largest state economy in India as of 2012. The state ranked among the top 5 states in India in Human Development Index as of 2006. Tamil Nadu is also the most urbanised state in India. The state has the highest number (10.56%) of business enterprises and stands second in total employment (9.97%) in India, compared to the population share of about 6%. The region has been the home of the Tamil people since at least 500 BCE. Its official language Tamil has been in use in inscriptions and literature for over 2000 years. Tamil Nadu is home to many natural resources, Hindu temples of Dravidian architecture, hill stations, beach resorts, multi-religious pilgrimage sites and eight UNESCO World Heritage Sites. Tamil Nadu covers an area of 130,058 square kilometres (50,216 sq mi), and is the eleventh largest state in India. The bordering states are Kerala to the west, Karnataka to the northwest and Andhra Pradesh to the north. To the east is the Bay of Bengal and the union territory of Pondicherry. The southernmost tip of the Indian Peninsula is located in Tamil Nadu. At this point is the town of Kanyakumari which is the meeting point of the Arabian Sea, the Bay of Bengal, and the Indian Ocean. The western, southern and the north-western parts are hilly and rich in vegetation. The Western Ghats and the Eastern Ghats and they both meet at the Nilgiri hills. The Western Ghats dominate the entire western border with Kerala, effectively blocking much of the rain bearing clouds of the South West Monsoon from entering the state. The eastern parts are fertile coastal plains and the northern parts are a mix of hills and plains. The central and the south central regions are arid plains and receive less rainfall than the other regions. Tamil Nadu has a coastline of about 1,076 kilometres (700 mi) which is the countryâ€™s third longest coastline. Tamil Nadu's coastline bore the brunt of the 2004 Indian Ocean Tsunami when it hit India, which caused 7,793 direct deaths in the state. Tamil Nadu falls mostly in a region of low seismic hazard with the exception of the western border areas that lie in a low to moderate hazard zone; as per the 2002 Bureau of Indian Standards (BIS) map, Tamil Nadu falls in Zones II & III. Historically, parts of this region have experienced seismic activity in the M5.0 range.